The Colorado Conference of the American Association of University Professors is proud to announce the recipients of its Friend of Higher Education Award for 2012, Senator Bob Bacon (Fort Collins) and Senator Rollie Heath (Boulder). The Friend of Higher Education Award is presented annually by the AAUP’s Colorado Conference to honor Colorado legislators “whose legislative work and public service has significantly advanced civic understanding and public support of higher education in the State of Colorado”. Normally, just one award is conferred each year, but since no award was given in 2011, two awards have been made this year. 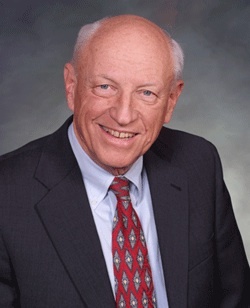 Senator Bob Bacon (District 14) has chaired the Senate Education Committee at the Colorado Assembly since 2009 with previous service on the same committee after election to the Senate in 2004. A career educator with the Poudre R-1 School District, he is an eloquent and steadfast defender of sustainable funding for Colorado’s higher education institutions. In 2012 he joined House colleague Randy Fischer in co-sponsoring House Bill 1144 allowing long-term contracts for adjunct professors and shepherded the bill to final passage by the Colorado Senate. 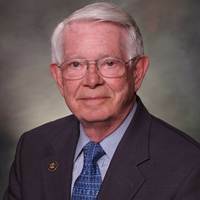 Senator Rollie Heath (District 18) has served on the Senate Education since 2009 and has tirelessly advocated for financial support of Colorado colleges and universities and for improvements in higher education administration. Responding to the fiscal crisis affecting Colorado’s public institutions of higher education he co-sponsored Proposition 103 in 2011, seeking additional funding for K-12 and post K-12 institutions. While defeated, the campaign for Prop. 103 raised public awareness of the need for secure financial mechanisms supporting Colorado’s institutions of higher learning. In 2012, Senator Heath joined Senator Bob Bacon in seeing HB 1144 to passage by the Colorado Senate. The Colorado Conference is grateful to Senators Bacon and Heath for their support of Higher Education in Colorado. Past winners of the Friend Of Higher Education Award are listed here.